Tucked behind privacy hedges, on a 3/4+ acre lot with mature tropical landscape and two brick driveways, this three-story period palazzo includes 6-bedrooms, 7.3 baths, a generous pool pavilion complete with a wet bar, powder room, gas-heated pool, outdoor shower, an expansive terraced lawn ideal for the addition of a tennis court, and a deeded private beach parcel on South Ocean Drive. This residence is replete with such quintessential Mizner-era touches as a romantic formal entry courtyard with painted tile steps and multiple fountains; an immense second floor living room with original Cuban tile, imposing fireplace and linen-fold wood paneling; a dramatic painted tile and wood staircase circling ever upward to a master suite with incomparable lake views.None of the original panache has been lost. 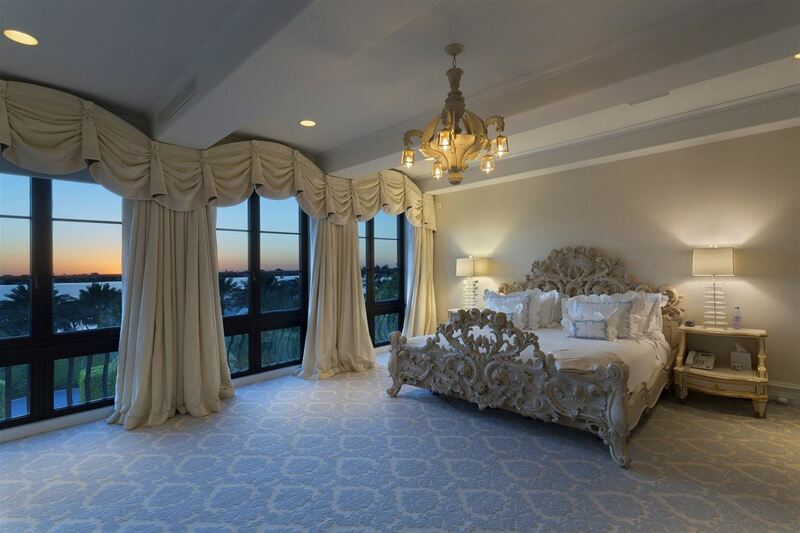 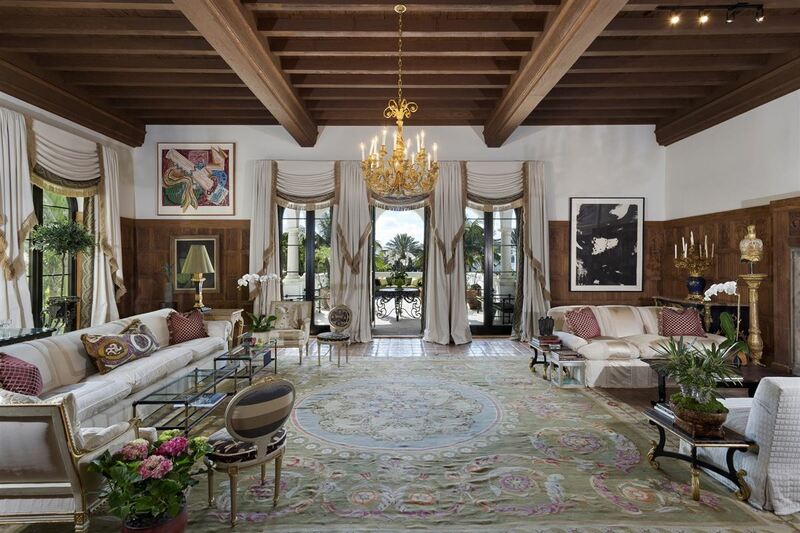 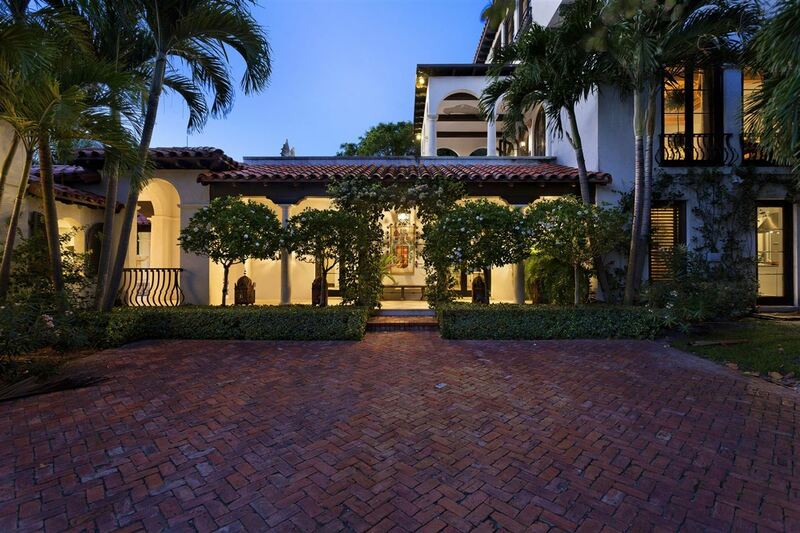 Instead, this thoughtful restoration, with its concrete block exterior walls, top-of-the-line impact windows and doors, reinforces the confidence, grace, privacy and ease that historically denote Palm Beach living, Mizner style. 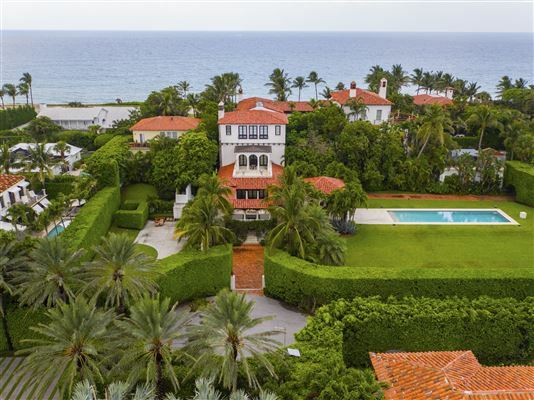 Lagomar Road, Palm Beach, Florida. 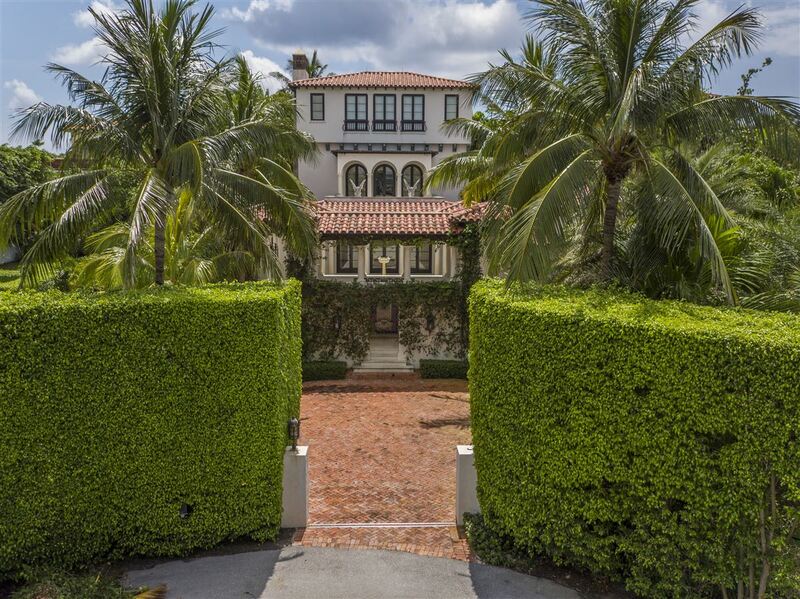 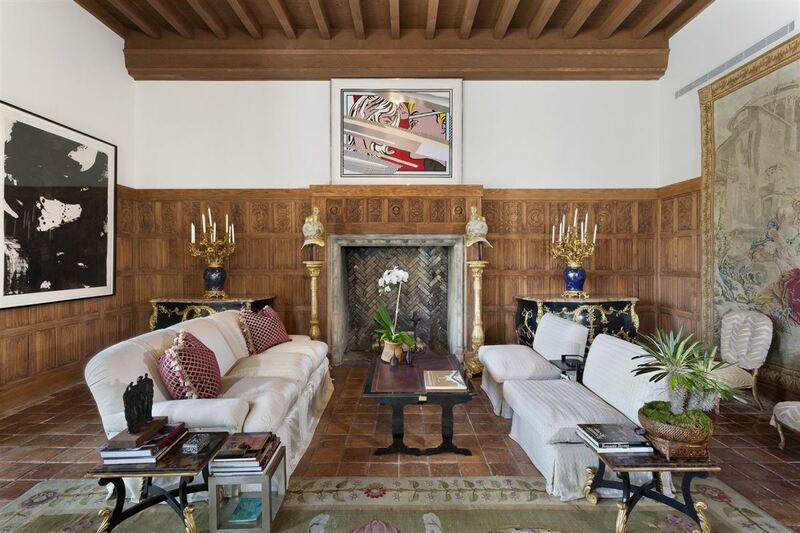 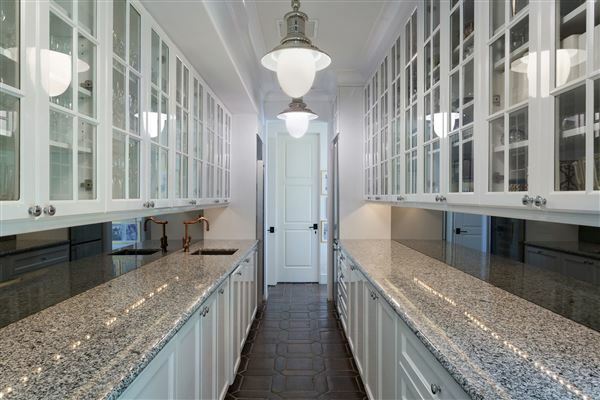 Completely restored since 2006, this 1928 architectural gem is on a hidden street off South Ocean Boulevard, south of Billionaire's Row. 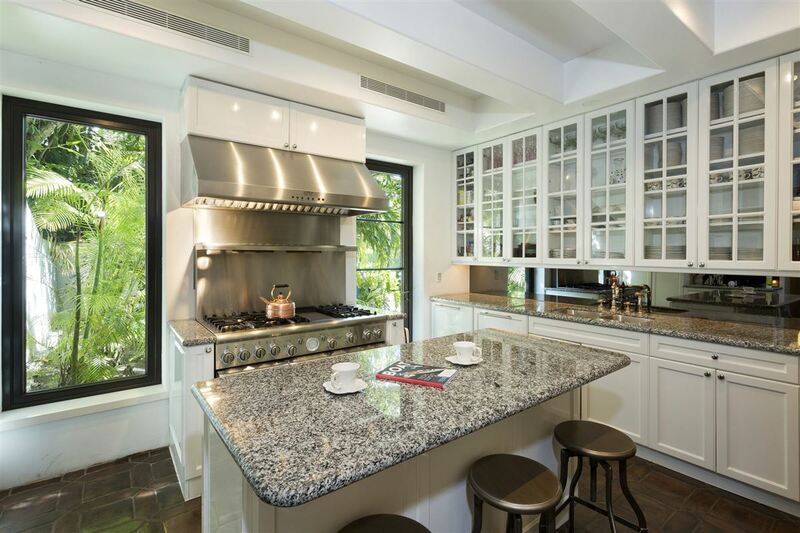 It is easily convenient to mid-town's Royal Poinciana Plaza, in-town's Michelin star dining and world-class shopping along Worth Avenue. Social events occur nearby at The Breakers and The Mar-a-Lago Club, the Flagler Museum and The Society of the Four Arts Museum and Gardens. Private banking institutions abound along Royal Palm Way. 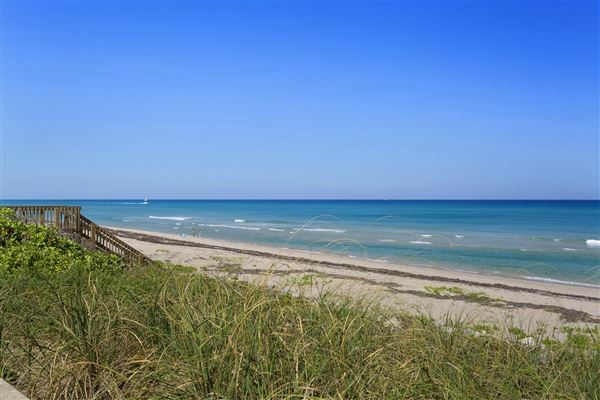 Private and commercial air service is available 6 miles away at the Palm Beach International Airport. 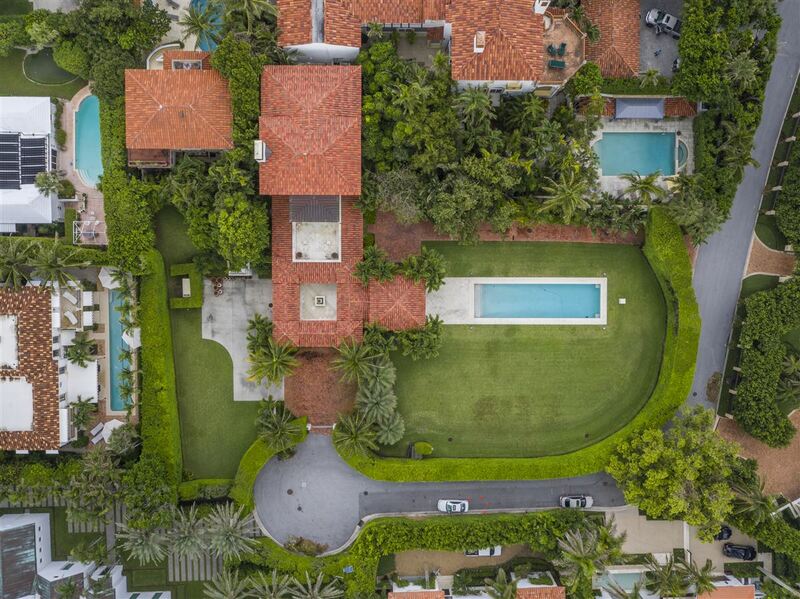 Privacy hedges surround a 35,780+/-square foot lot with mature tropical landscape. Guests arrive via the front brick driveway to the main entrance, or side driveway by the courtyard. 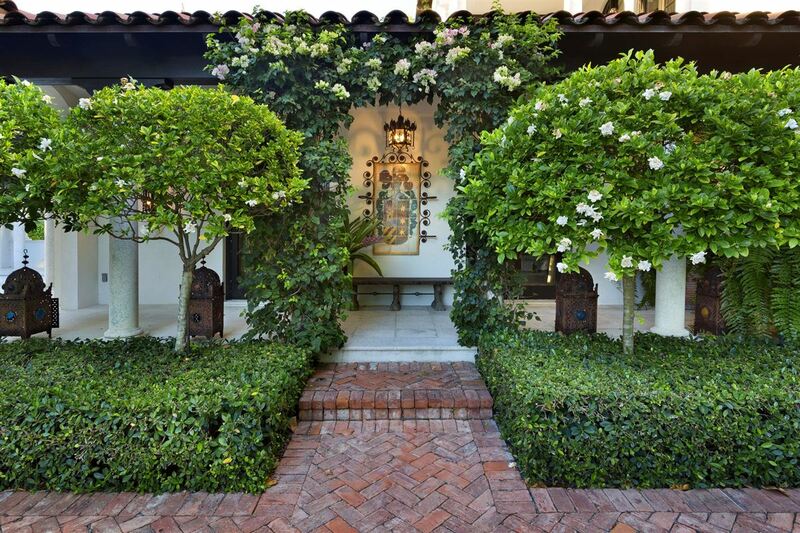 Mizner-esque hand-painted tile steps and a romantic fountain lead up to the formal courtyard entry. 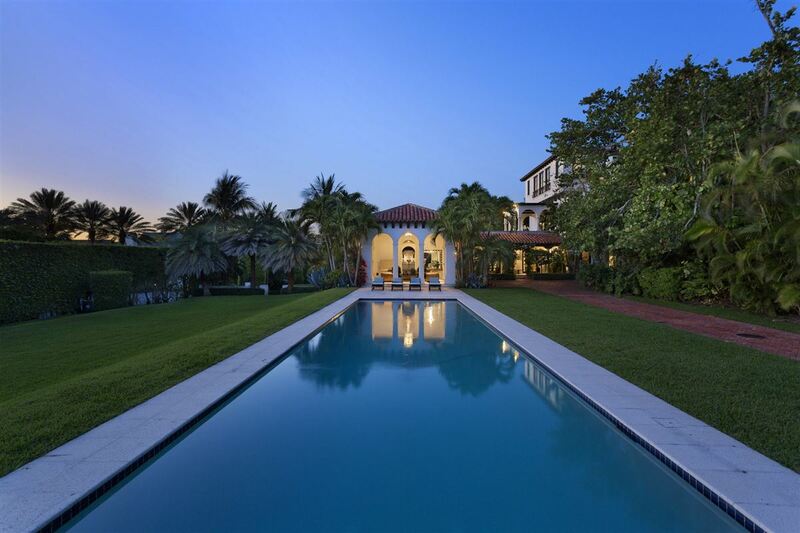 To the right, a large pool cabana, with a powder room and wet bar under a covered loggia, offers multiple areas for entertaining. The oversized gas-heated pool is surrounded by pristine terraced lawn with ample space for a tennis court. 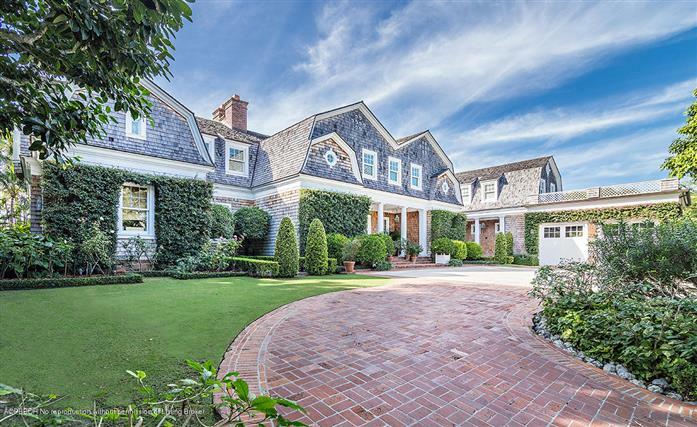 This remarkable residence offers 6 bedrooms and 7.3 baths on 3.5 levels encompassing 9,714+/-total square feet (6,357+/-square feet of living space) plus a lower-level 2-car garage with exceptional storage. 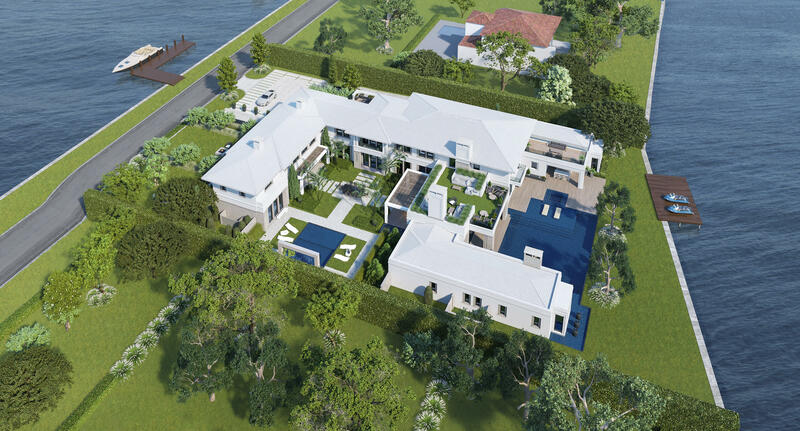 First Floor: The focal point is the oversized formal dining room, with French doors on two sides for courtyard and pool views, which parallels an extended butler's pantry with powder room and exterior entry door. 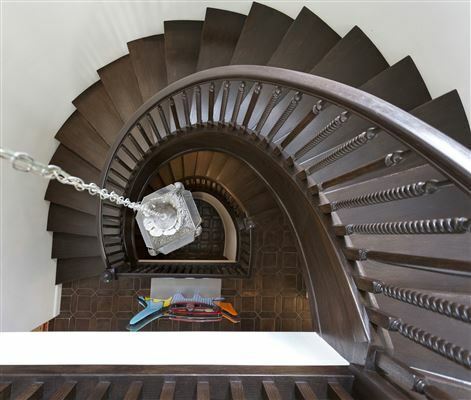 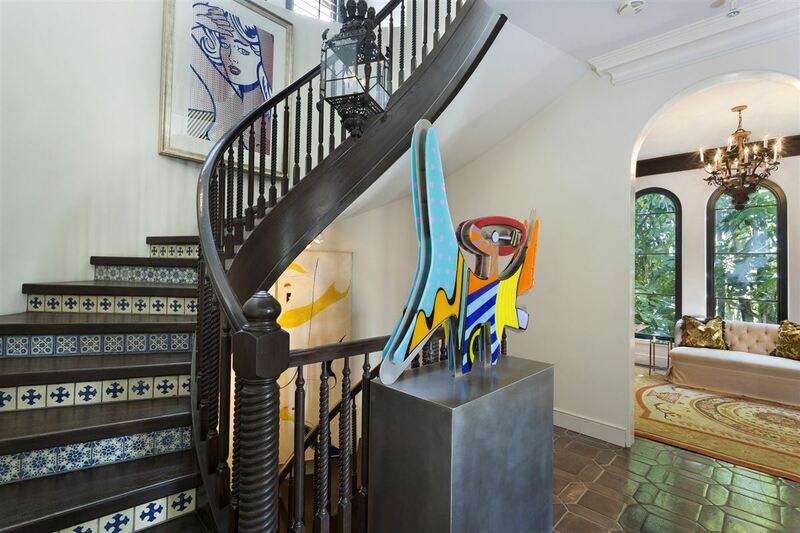 At the side of the terrace, an entry foyer leads into a gallery, beyond which is a dramatic tile and wood circular staircase and an elevator. 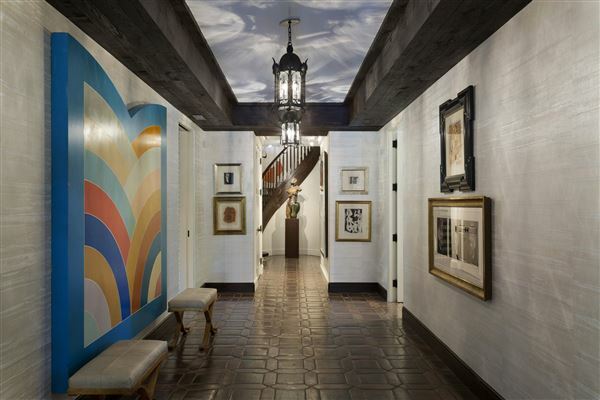 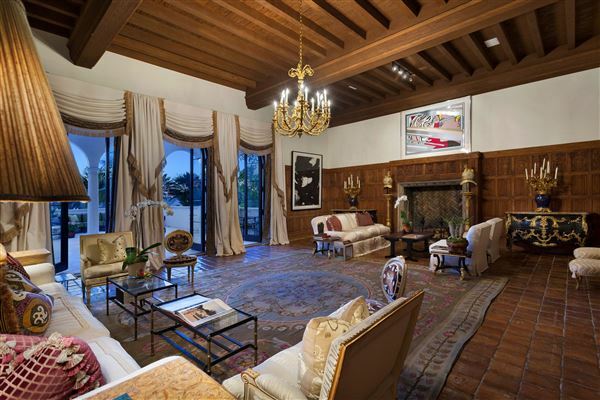 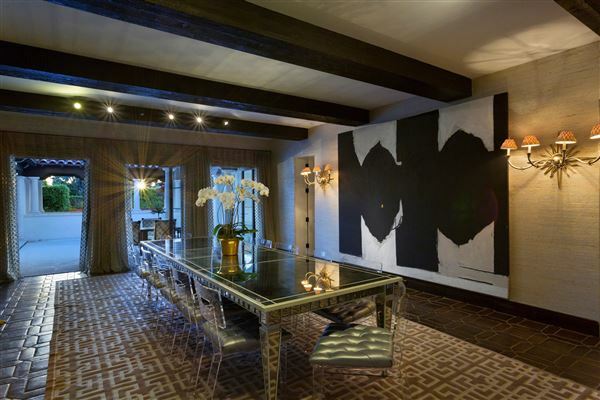 On one side of the gallery is the den/media/family room and an adjacent guest suite with full bath. On the other side, the charming island kitchen, with eating bar for three, features custom glass cabinetry, granite counters, Thermador 6-burner gas range, Liebherr refrigerator, and twin dishwashers. Beyond the kitchen, a laundry room leads to a staff bedroom with closet and full bath. Second Floor: "The Mizner Room", the largely restored original living room, features soaring ceilings, original Cuban tile floor, original fireplace and linen fold wood paneling. 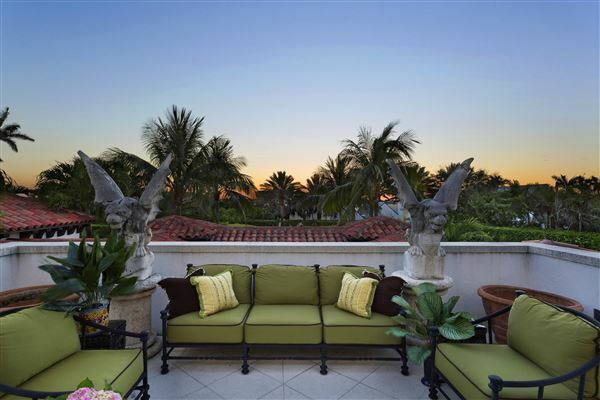 A large terrace, with covered and uncovered seating areas, enjoys limited Intracoastal views. 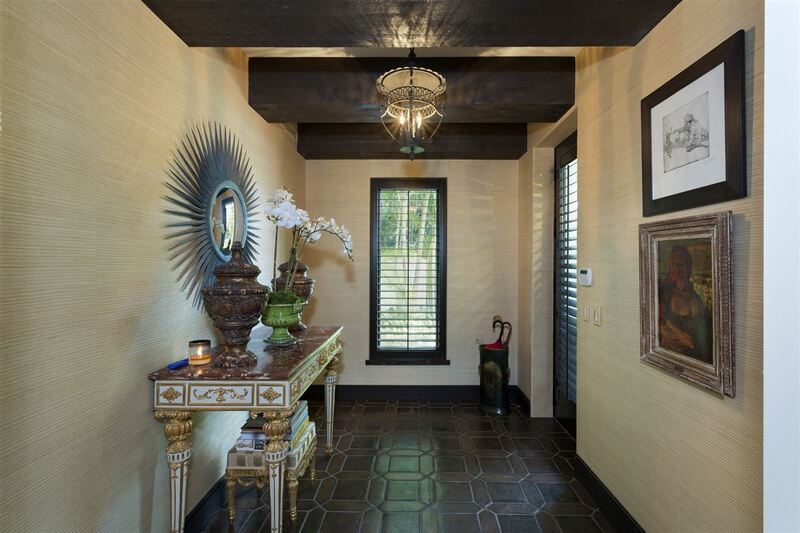 On one side of the landing is a sitting room and powder room. 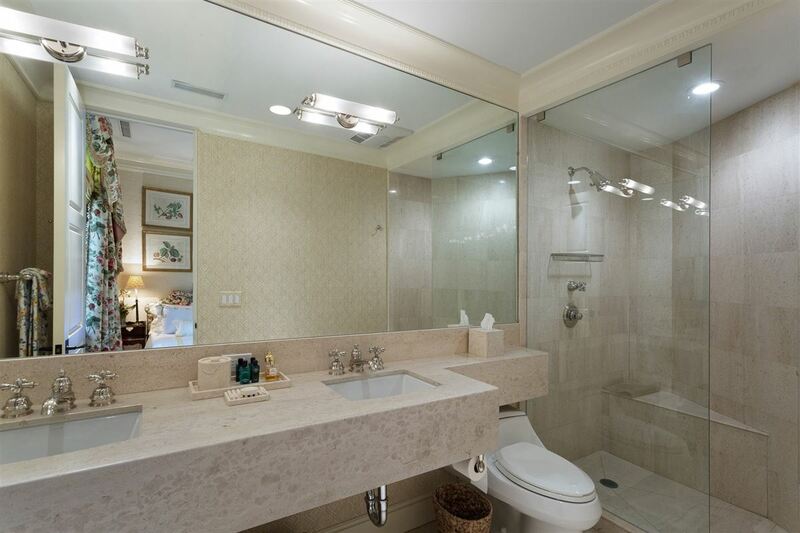 Across the landing is the guest suite with large windows and full bath with marble tile. Third Floor: There is a guest suite, with large windows and full bath, on either side of the landing. 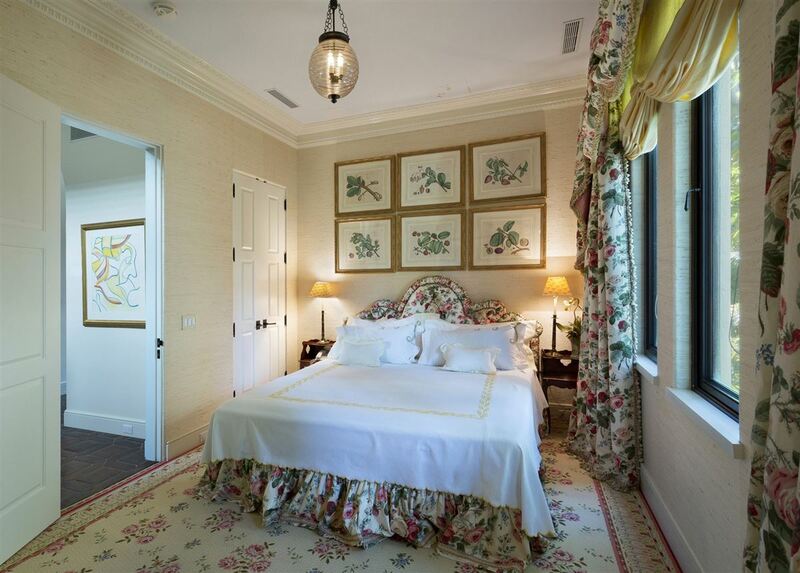 The double door private master suite with circular flow is several steps up on its own little level. 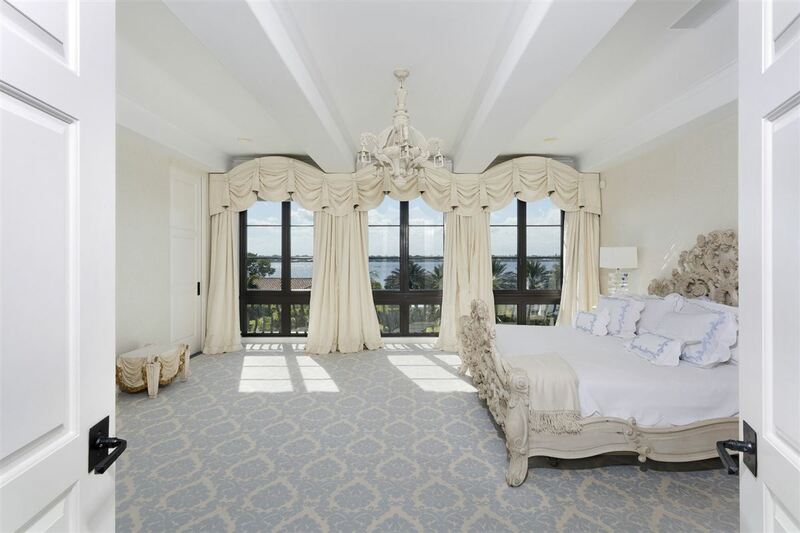 Straight ahead, the master bedroom with floor-to-ceiling window wall offers incomparable, unobstructed lake views. On either side of the entry, his and hers custom walk-in closets lead to twin marble-accented baths, hers with Jacuzzi tub and bidet, both with glass-enclosed showers. 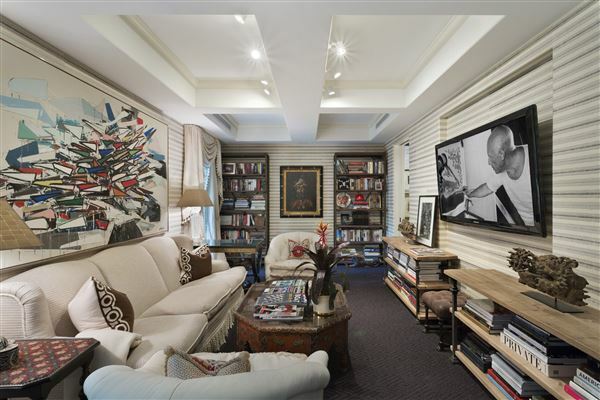 A separate sitting room lies between his bath and the bedroom. 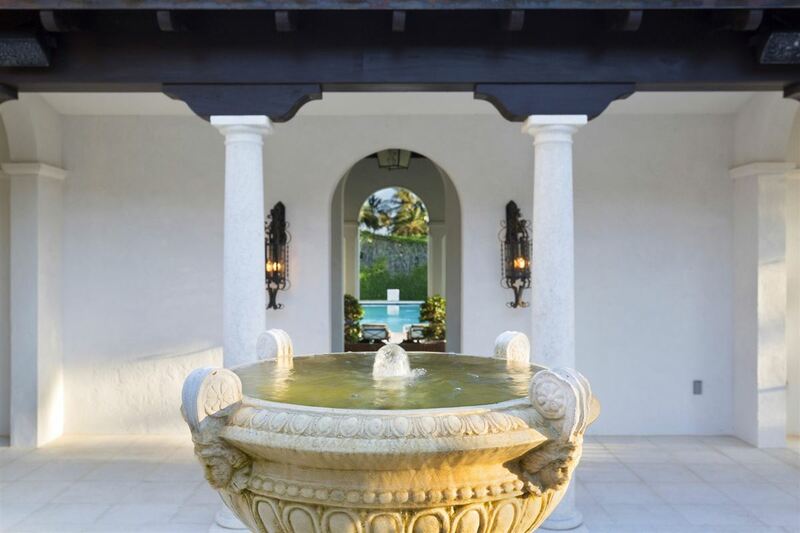 Special features include: exterior CBS walls; barrel tile roof; impact windows and doors; elevator; original Cuban tile, fireplace and linen-fold wood paneling in living room; Sherle Wagner bath fixtures; unifying antiqued floor tiles throughout; front and side driveways; pool pavilion with powder room, wet bar, outdoor shower, gas-heated pool; deeded beach parcel on South Ocean Boulevard.